Traditional IRA, a tax-advantaged account, allows earnings and deductible contributions to grow tax-deferred. Contributions may be deducted from your gross income on your Federal Income Tax Return. SEP IRA, a Simplified Employee Pension Plan, is a retirement plan specifically designed for self-employed people and small-business owners. Larger contributions are permitted to a SEP than a traditional IRA, and all earnings in the IRA accumulate tax-deferred until withdrawn. 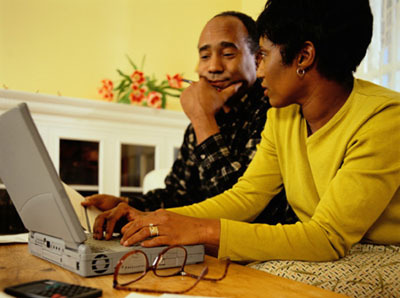 Roth IRAs might be a better alternative for some individuals as they may provide more flexible access to your savings. Unlike a Traditional IRA, contributions to a Roth IRA are not deductible from our gross income on your federal income tax return. However, since you have already paid taxes on the money you've contributed to the account, contribution dollars can be withdrawn without tax consequences. Established by an employer to provide retirement benefits for employees and their beneficiaries, Qualified Plans allow the employer a tax deduction for contributing to the plan, and employees do not pay taxes on plan assets until these assets are distributed. Furthermore, earnings on qualified plans are tax-deferred. These plans must operate in accordance with requirements as provided by the IRS, the Department of Labor and ERISA (Employee Retirement Income Security Security Act of 1974). Defined Benefit Plan: In this type of plan an employee's retirement benefits are predetermined by his or her compensation, years of service and age. Contributions are made annually. Defined Contribution Plan: Depending on the plan type, contributions are invested on the employee's behalf, and the benefits paid to employees are based on contributions and any earnings or losses. Contributions may or may not be made each year. 401(k) Plans, established by the employer, allow eligible employees to make salary deferral (salary reduction) contributions on a post and/or pre-tax basis. Employers may make matching or non-elective contributions to the plan on behalf of eligible employees and may also add a profit sharing feature to the plan. Earnings accrue on a tax-deferred basis. Profit Sharing Plans allow employers to make discretionary contributions which and may vary from year to year. A Profits-Sharing Plan must set out a definite formula allocating both the contributions and distributions for each participant and the plan may have a vesting schedule. Money Purchase Plans require fixed annual contributions from the employer to the employee's individual account. The contribution is defined by the formula stated in the plan and must be made each year. Employee after-tax contributions may be made, but must pass an anti-discrimination test. ESOP, an Employee Stock Ownership Plan (ESOP), is a form of defined contribution plan in which the investments are held primarily in employer stock.